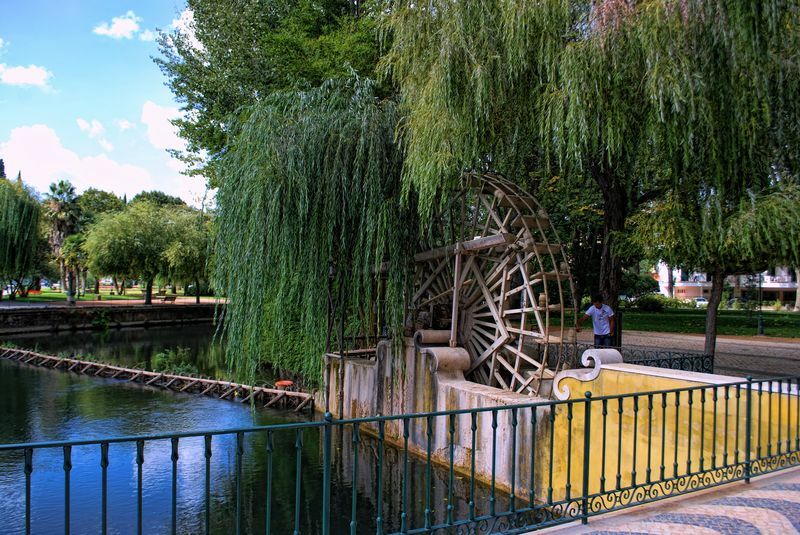 This wooden water wheel is placed on Nabão River in one of the entrances to the island of Mouchão Park in Tomar. 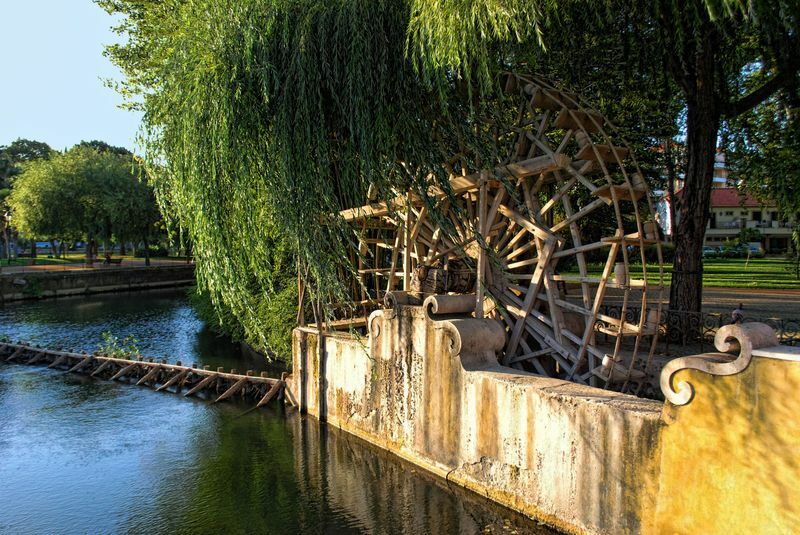 I believe that this kind of water wheel, which in this case is almost covered with graceful weeping branches of a willow tree, was used by the Romans when they were in Tomar a millennium ago, and when this town used to be called Sellium. 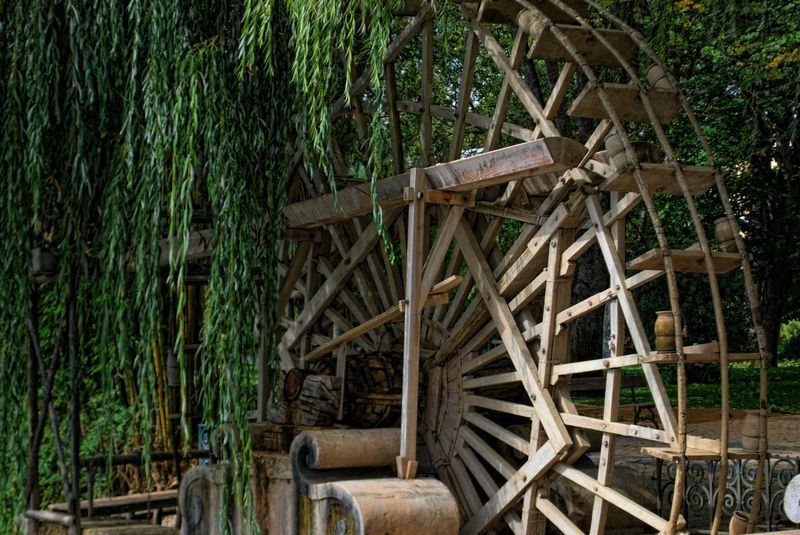 Though this wooden wheel is now just a picturesque attraction to the City of Tomar, in past centuries, wheels like this were widely used and apparently still are in some parts of the world where more modern technology is scarce.